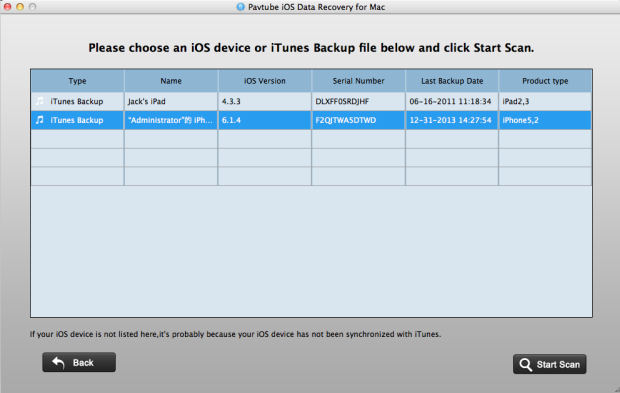 How to view and extract iTunes backup for iPhone/iPad/iPod on Mac? Home » How to Find and extract iTunes backup files on Mac? The "~" represents your Home folder. If you don't see Library in your home folder, press and hold “Option” key, in the Finder menu at top, click the Go menu. Knowing the backup file stored where doesn't mean you've really got it. In order to protect personal privacy, iTunes backup doesn't allow anyone to access or preview. You only can restore the whole content to your device, only restore contacts or message not permitted. If you want to access it, there is still a method. You need a tool that could extract all contents from the iTunes backup file. Have no idea about it? 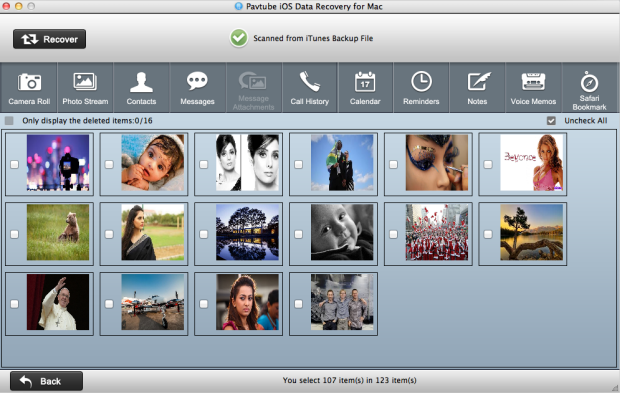 Here is my recommendation: Pavtube iOS Data Recovery for Mac. It enables you to view all details of your iTunes backup content in 2 steps. This powerful tool works well with iPhone 5S,iPhone 5C,iPhone 5,iPhone 4S,iPad air,iPad mini,iPad mini 2,iPad 3,iPad 2,iPod touch 4,5,etc. Download the trial version below and then install it on your Mac to have a try! 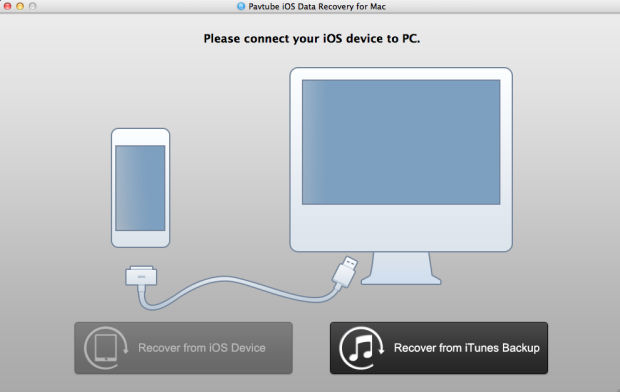 Launch Pavtube iOS Data Recovery on Mac and you'll get the window below. Please select the “recover from iTunes backup”. Here all your iTunes backup files will be found and displayed. Select the one you want to view and hit on "Start Scan" to get the details. 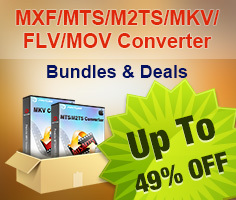 This program also enables you to recover data directly from iPhone/iPad/iPod. If you lost or deleted your important data, or you have no backup files, you can use this software to help you recover them. How to recover iPhone deleted voice memos on Mac?